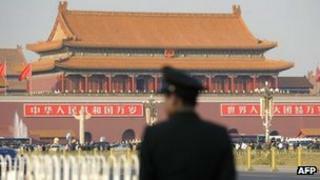 A number of new laws take effect in China today. The mental health law, which has taken almost 27 years to draft, attracts most media attention. According to Xinhua News Agency, the law requires consent from mentally ill patients before they receive inpatient treatment, with the exception of those severely ill or who have the potential to harm themselves or others. The agency notes the law has attracted a great deal of attention after numerous reports surfaced of people being wrongly institutionalised. Southern Metropolis Daily questions the impact of the law, saying it gives the guardian too much power. As a result, it will not protect people from being sent for treatment forcibly. It is yet to be seen whether the law will terminate the practice of "being mentally ill-ed", the paper says. "Being mentally ill-ed", a buzzword in today's papers, is a situation where a mentally sound person is pronounced ill by others, quite often by family members over personal grudges, and forced to stay in hospital. Global Times lists examples of people sending their healthy spouses, with whom they have disputes, for treatment against the individual's will. The paper quotes an expert as saying that as many as 70% of inpatients were forced into treatment. The website of China National Radio carries an article titled "Expert elaborates on how to avoid being mentally ill-ed". On the occasion of the Labour Day holiday on 1 May, China Youth Daily examines the negligence of labour laws by employers. It lists common bad practices such as evading compensation, converting overtime to duty time or pressing female employees to shorten their maternity leave. Southern Metropolis Daily warns employers against such practices becoming a trend. It says in an editorial: "It is very dangerous for a society to keep frustrating the workers… Once contempt for work and the workers becomes a trend, opportunism and eagerness for quick success will inevitably become the mainstream thinking." "Building the China dream through hard work" is the dominant theme in today's mainland editorials. The People's Daily editorial calls all of society to respect workers and protect their interests. People's Liberation Army Daily carries a commentary by Xinhua News Agency on the same theme. It says President Xi Jinping's recent speech, praising hard work and innovation, is a "command to the whole party and nation to build the China dream through hard work". President Xi Jinping met "model workers" from various industries across the country to mark the Labour Day holiday, China Youth Daily reports.